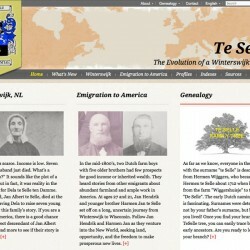 The Family History website of the Te Selle family has been a work in progress for at least 3 years. Finally at the start of 2013 the client decided that something really needed to happen if this project was ever going to see the light of day. Because of our Dutch background the client approached us as we would be able to help him perfectly to build the bilingual website in English and Dutch. With the bespoke design we have tried to give the website a historic feeling and there are a few different header images used for different parts of the website. The site has been developed as a Child Theme of Canvas by WooThemes that the client already purchased prior to hiring BHI Consulting for Websites and we have used no less than 5 Custom Post Types. Each of these post types, including the default post, page and media attachment, has different metaboxes to be able to add content-specific information. All the site content (posts, pages, media and the post types) is inter-connected and inter-linked by making use of 5 Custom Taxonomies, some of which have custom metaboxes too. From the above it is clear that although our design makes the site look clean and clear, the backend is quite complex and comprehensive. 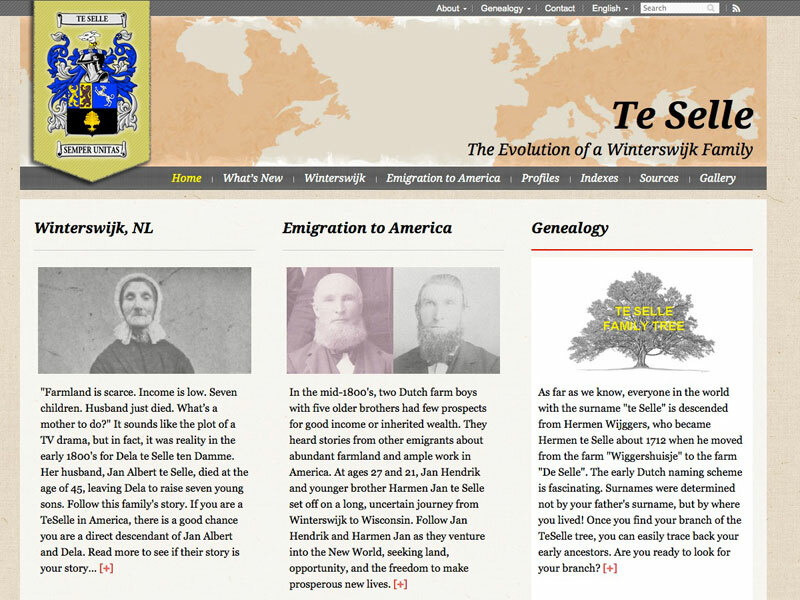 A website such as this is actually never finished as the whole purpose of it is to let the family members become involved and contribute to their own family history. That is the reason why we pushed for a relatively short development timeline, so the site could go live mid March. For us it was a great exercise to "bend WordPress into submission" and the client is super happy that finally his whole family in both the United States and The Netherlands can share and learn about their roots.